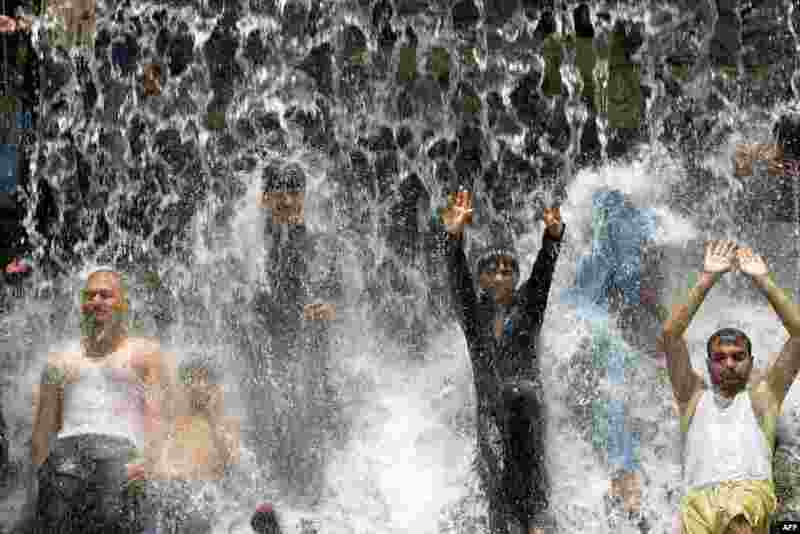 1 Pakistani youth crowd a water fall in a park to beat the heat in Lahore. Severe heat wave conditions continue over most plains of the Punjab province. 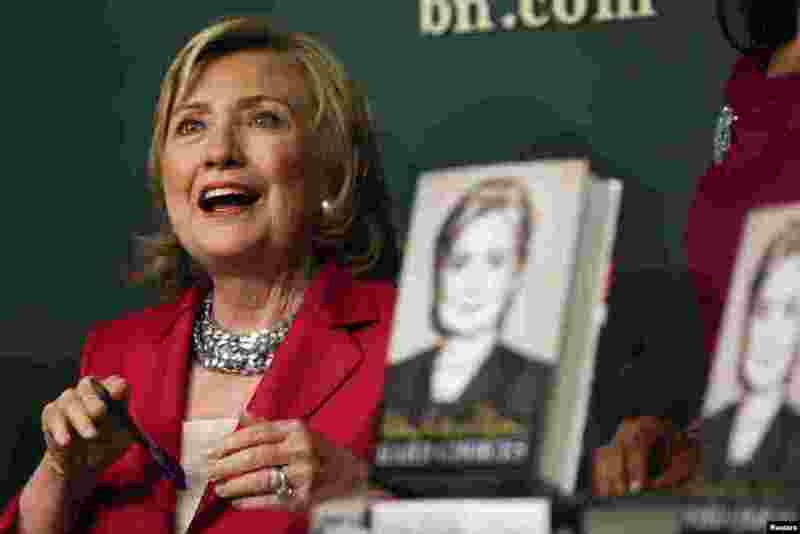 2 Hillary Clinton speaks during a book signing of her new book "Hard Choices" in New York. 3 A family fleeing the violence in the Iraqi city of Mosul waits at a checkpoint in outskirts of Arbil in Kurdistan region. 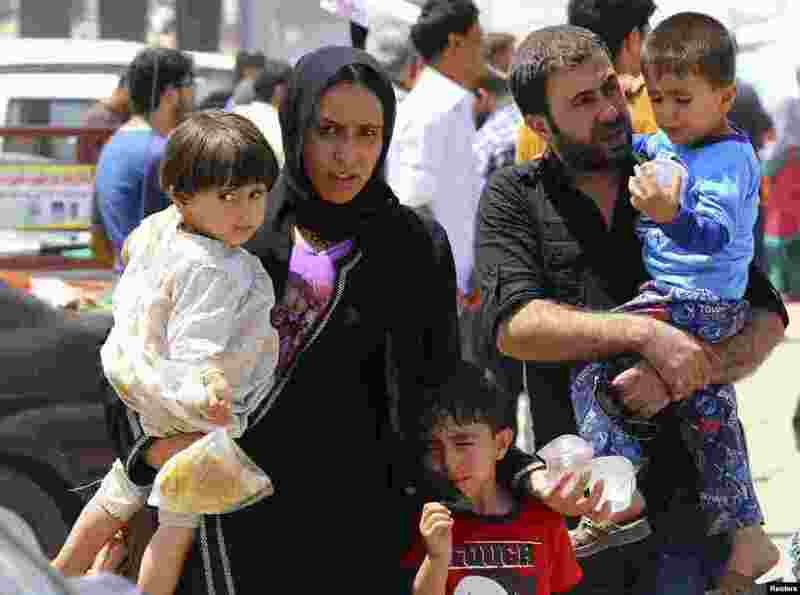 Radical Sunni Muslim insurgents seized control of most of country's second largest city of Mosul. 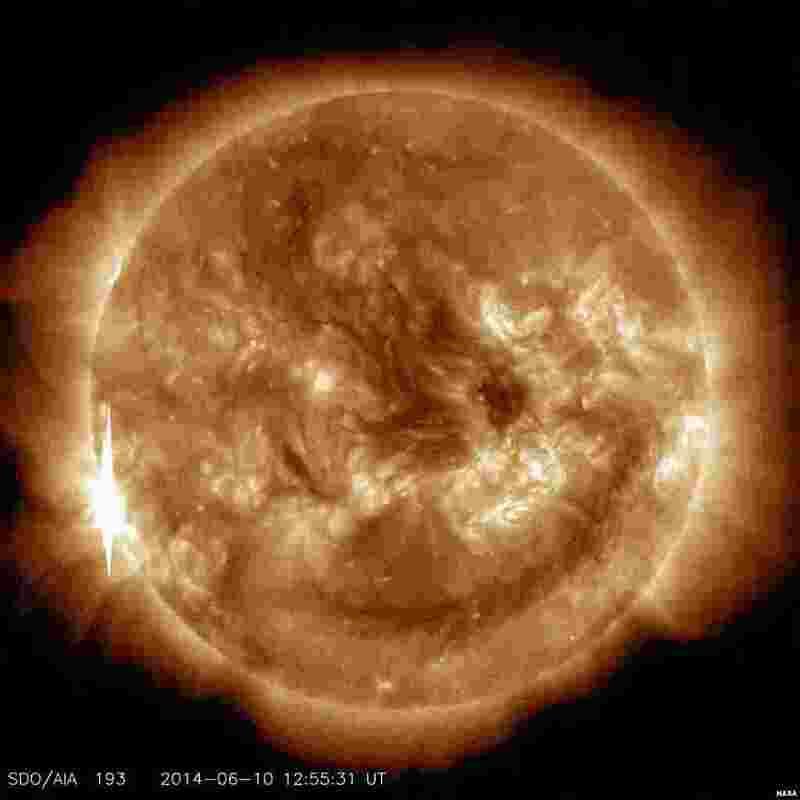 4 The sun releases a second X-class flare, peaking at 8:52 a.m. EDT. This is classified as an X1.5 flare. Solar flares are powerful bursts of radiation. Harmful radiation from a flare cannot pass through Earth's atmosphere to physically affect humans on the ground.